Update: Bookings for this course have now closed. 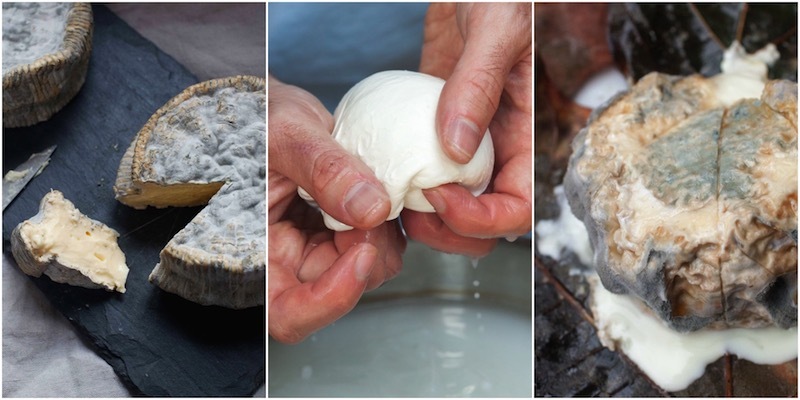 Click here to find any The Art of Natural Cheesemaking courses we have scheduled. The Art of Natural Cheesemaking is a new/old approach to cheesemaking that is inspired by traditional practices, and based on the ecology of raw milk. Much like wild fermentation, natural cheesemaking teaches how to partner with fresh milk’s resident ecology to transform milk into delicious, healthful cheese. David Asher’s methods include cultivating raw starter cultures, growing the fungi that ripen cheeses, and working with the indigenous cultures of raw milk. These methods are liberating and empowering – they help both home and artisanal cheesemakers wean themselves off packaged powdered cultures, synthetic rennets and unnecessary chemical additives and sanitizers, and help cheeses develop their best possible flavor. The Art of Natural Cheesemaking helps cheesemakers take back their cheese. These workshops are presented in a premium watch-and-learn setting, with select audience participation for each cheese. The class begins with a session on dairy fermentation, focusing on the making of kefir, creme fraîche, yogurt, and cultured butter. Following the introductory session, we will learn about fresh cheeses including Fromage Frais and Chèvre, and then continue on to make soft-aged French cheeses – Saint Marcellin, Crottin, Saint Valencay – from the very same recipe. On day two we explore rennet cheeses, making fresh cheese curd, and exploring the different directions that this basic cheese can take including Camembert, Limburger, Feta and Mozzarella. And we finish off the class with alpine cheeses and blues, making a 2 kg Tomme, and a wheel of Gorgonzola. Learn how all these diverse cheeses are related, and how they evolve from the very same milk, with a full-circle, organically inspired cheesemaking philosophy. 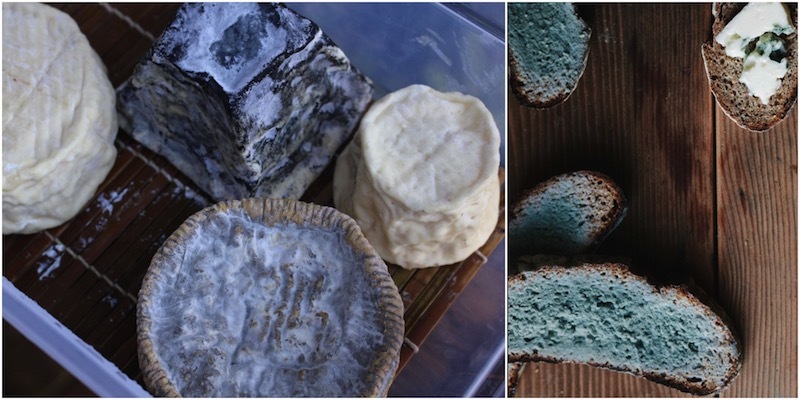 Over lunch each day, we will also taste local and imported examples of the cheeses David will be making in class, alongside a feast of local produce. David Asher is an organic farmer, farmstead cheese maker and cheese educator based on the gulf islands of British Columbia, Canada. 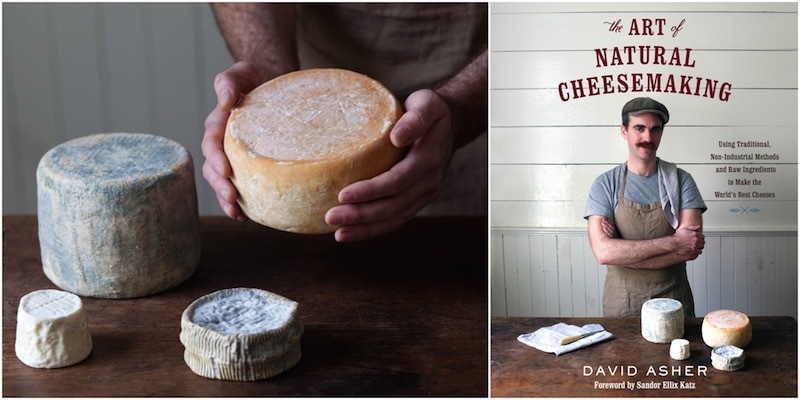 A guerrilla cheesemaker, David does not make cheese according to standard industrial philosophies – he explores traditionally cultured, non-corporate methods of cheesemaking. David offers cheese outreach to communities near and far with the Black Sheep School of Cheesemaking. 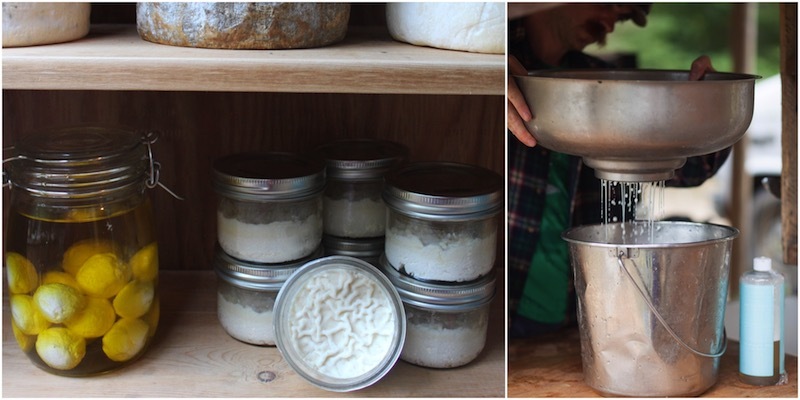 Through workshops in partnership with food-sovereignty-minded organizations, he shares his distinct cheesemaking style. 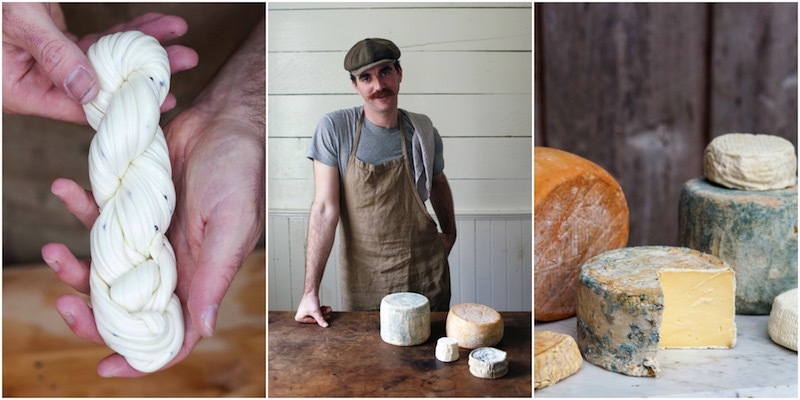 His workshops teach a cheesemaking method that is natural, DIY, and well suited to the home kitchen or artisanal production. He is the author of The Art of Natural Cheesemaking. You can pay for your course now with your credit card, or contact Trev in our office via the form below (scroll down) to arrange payment. Please ensure you read our refunds policy prior to booking your course.